Click on image to view recording. Video duration: 34 minutes. Does it feel like you’re always spinning a million plates? Do you worry you’re not keeping track of them well enough? Are you more of a Visual thinker than a Sit-Down-and-Write-An-Outlined-List thinker? 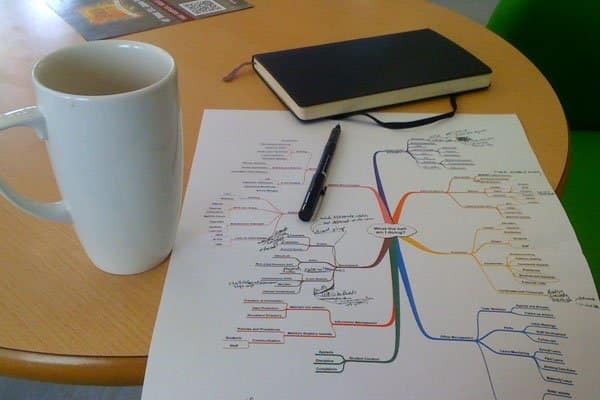 It might be time for you to experiment with Mind Mapping! Kelly Pratt, founder of the So Do It! Society, interviews entrepreneur Amanda Lathrop about using Mind Mapping for tracking all the different parts of her life. Entrepreneur Amanda Lathrop shows viewers a sample Mind Map. One of the books Amanda’s grandfather showed her when she was a Fifth Grader was by the inventor of Mind Mapping, Tony Buzan. Is your brain’s “junk drawer” too full? Amanda Lathrop rids herself of the distraction of her “mental ephemera” by using Mind Mapping. So you have blank pages in your paper planner that are waiting for your next quarter. You are helping yourself (wrangle) what I call "mental ephemera." So, Do It! Salons of up to 9 women take place over 13-week trimesters and meet in-person every other week. A sample Mind Map, courtesy of Creative Commons. Kelly Pratt: A construct I discovered in about 2010 is something from the Hindu world called the Purusharthas, and they break the life down into four "aims of life." 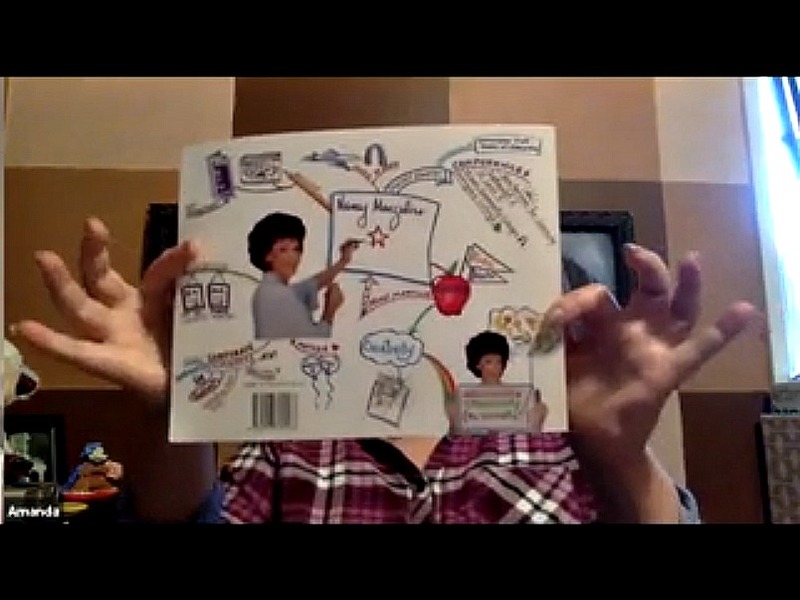 Amanda Lathrop shows host, Kelly Pratt, an example of her Mind Map for her business goals during “Talk2Think,” a weekly online, live show for members of the So, Do It! Society. 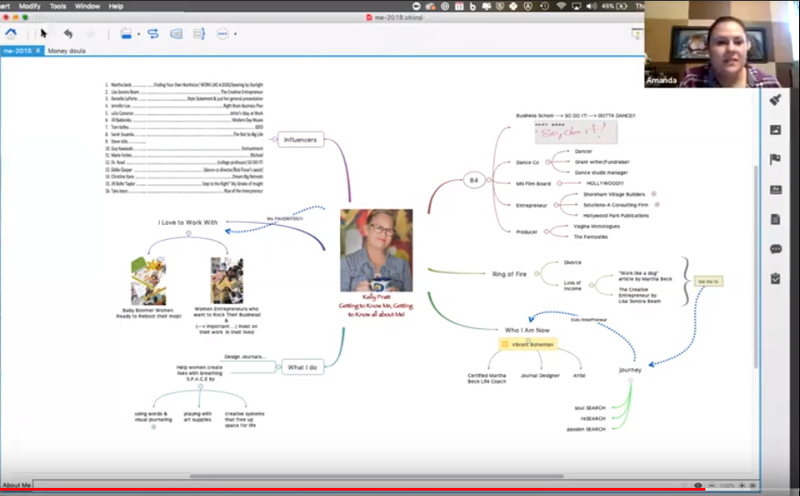 Kelly Pratt executed the About Page on her eponymous website as a Mind Map. When You Don't Know What's Next, Remember This: Life is a story. You are the Hero. Talk2Think with Dr. Paul White, author of "5 Languages of Appreciation in the Workplace"
Talk2Think is a feature of the So, Do It! Society, a private, subscription online community for women ready to take that dream or idea off the “back burner” and make sh!t happen. JOIN US - your first month is FREE.